Are Humans Really Headed To Mars Anytime Soon? Public passion is all well and good, but it will take more than big talk to get to Mars by 2025, space specialists say. Even several rockets' worth of cash won't easily solve the technical challenges. But let's have a little reality check. What are the chances that we really will see people on the Red Planet in the next couple of decades? Most people just don't get how hard this would be, says Mary Lynne Dittmar, an aerospace consultant in Washington, D.C. "The distances that are involved and the complexities that are involved in going and staying there are really enormous," she says. Dittmar ticks off a list of challenges: The trip will take more than half a year, one way, and you'll need to bring a bunch of food, plus oxygen. Then there's the question of whether you can even land on a planet with such a thin atmosphere. And if people do manage to make it to the surface, the first Martians will have to cope with everything from cancer-causing radiation to dust. "Mars has a big dust problem," Dittmar notes. Lansdorp is a mechanical engineer by training who has worked on wind energy technology. His Mars dream started almost 20 years ago, when he was watching Dutch TV and was stunned by vivid images of the red Martian surface sent back by a NASA rover. 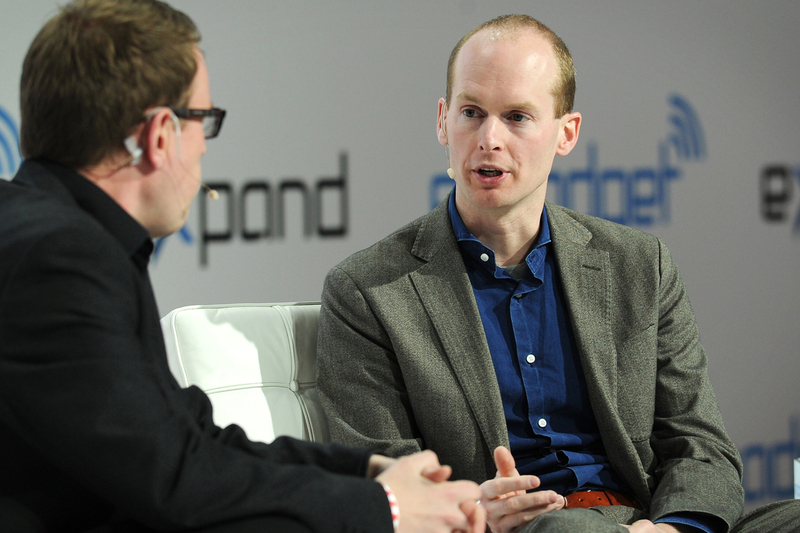 Bas Lansdorp (right), CEO of Mars One, says he expects "10 Olympic Games' [worth] of media revenue" to help fund his Mars project. Some longtime space watchers say they seriously doubt whether Mars One has the right stuff. "I just don't find it a credible proposition," says John Logsdon, a space policy specialist and professor emeritus at George Washington University. But that doesn't mean he thinks the idea of going to Mars in the next couple of decades is a total fantasy. "No one can know the future, but I would say that the strongest initiative going on right now — the one that's making visible, dynamic progress — is the SpaceX initiative." "I would like to see, once again, people leave this planet and go someplace else," says Logsdon. 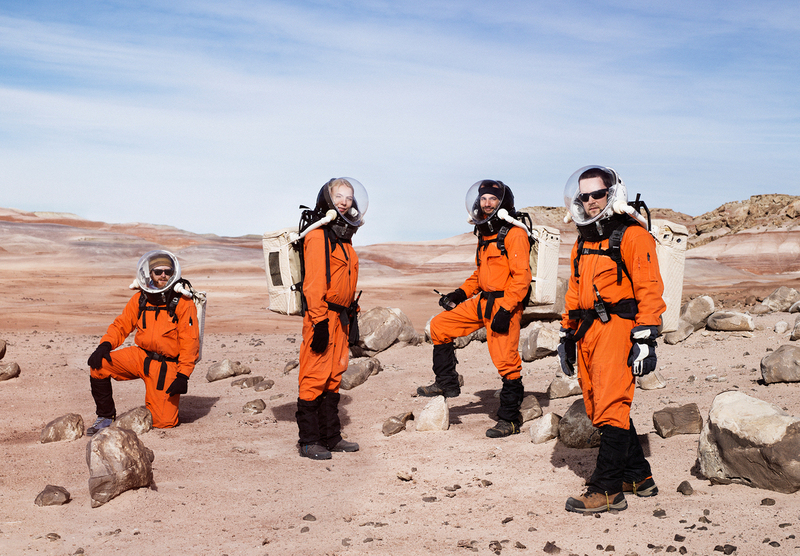 "Whether I'll be around in the 2030s to see the first missions to Mars ... I hope so." Getting humans to Mars in the 2030s is NASA's stated goal. The trouble, Logsdon says, is that NASA can't expect any big infusion of cash to get the job done. In his book After Apollo? Logsdon describes a serious proposal by NASA to push for Mars after the first moon landing. Under that plan, the first missions were scheduled for the 1980s. But President Richard Nixon didn't go for an expensive, Apollo-like program aimed at Mars, and no other administration has either. That means that NASA will have to cobble together the pieces of a Mars program on its current budget. 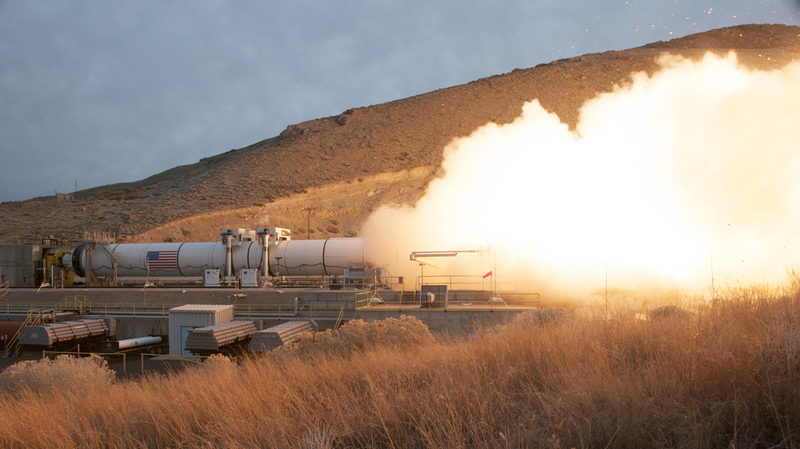 Last week, in Utah, the agency test-fired part of a new rocket that NASA says it will need to be able to go out into deep space — to the moon and beyond. The rocket's first flight (with no people on board) should come in 2018. NASA fired the largest, most powerful rocket booster ever built on March 11 in Promontory, Utah. It was a test — part of NASA's long-term plan to send a spacecraft to deep space destinations, including Mars. "We are developing many of the different systems to move from this low, Earth-orbit phase that we're in today with the space station, into deep space and onward toward Mars," says Jason Crusan, director for advanced exploration systems at NASA. But that does not impress the president of the Mars Society. "The NASA humans-to-Mars program is all sizzle and no steak," says Robert Zubrin, an aerospace engineer who heads the society, which has long pushed for human missions. NASA is building a big rocket and a little capsule, says Zubrin, but where's key stuff like the space habitation module that you'd need for any real, long-term mission? "There is no program," he says. "There isn't even a plan. There's just chatter." So who's got the best shot at really making a Mars mission happen? "No one can know the future," says Zubrin, "but I would say that the strongest initiative going on right now — the one that's making visible, dynamic progress — is the SpaceX initiative." SpaceX is the first private company to have a robotic capsule actually dock with the international space station. The firm currently delivers cargo for NASA, and may soon transport astronauts, too. The founder of SpaceX is Elon Musk. Zubrin calls Musk "quite a person." "He developed spacecraft for one-tenth the cost and one-third the time that NASA and the aerospace major companies have done," Zubrin points out. Plus, everyone knows Musk is gung-ho for Mars. He makes no secret of the fact that he founded SpaceX to help make sure that life exists on more than one planet. Although, as he noted on Twitter last week, "The rumor that I'm building a spaceship to get back to my home planet Mars is totally untrue." A search online instantly turns up videos of Musk talking about why we need to go to Mars: "I just think that a future where humanity is a spacefaring civilization and out there exploring the stars is an incredibly exciting future, and inspiring," Musk told an interviewer for the website of the Wall Street Journal a few years ago, adding, "and so that's what we're trying to help make happen." Space X, he predicted, will get people to Mars in 10 to 20 years. Musk also announced, in another recent online discussion, that sometime in 2015 he hopes to unveil plans for the Mars Colonial Transporter, a plan for getting large numbers of people to the Red Planet.